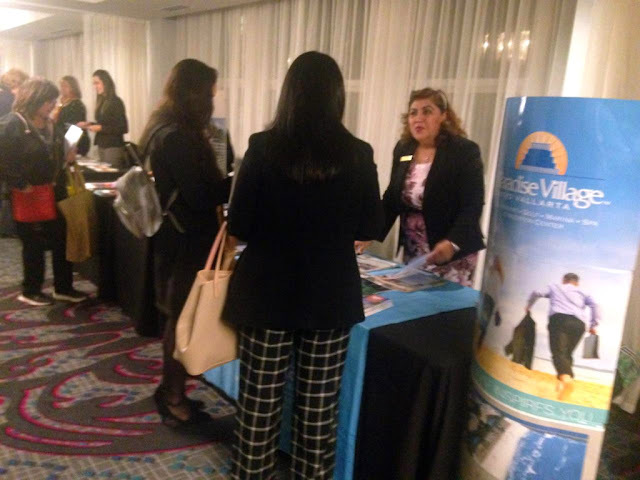 Representatives from the Riviera Nayarit CVB and Puerto Vallarta’s Fidetur visited Portland and Seattle to train over 100 travel agents and sales consultants. 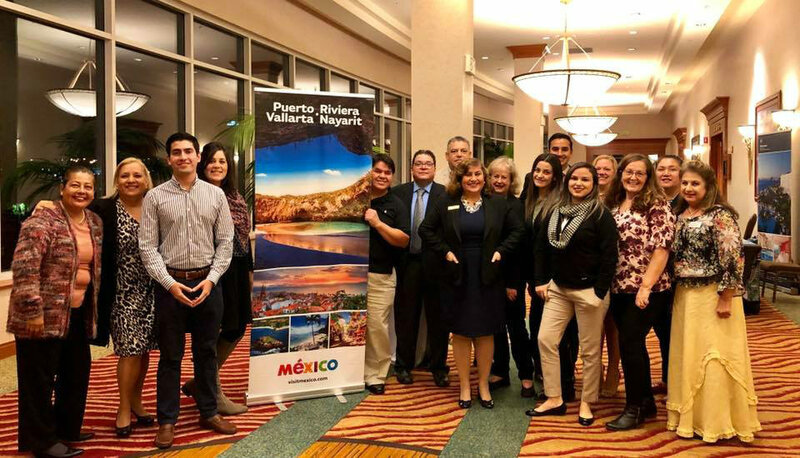 The Riviera Nayarit reinforced its promotional efforts in the Northeastern region of the United States with two training events held in Portland, Oregon, and Seattle, Washington. This area is one of the natural markets for the destination thanks to its connectivity. The team also visited the Costco Travel call center in the nearby city of Issaquah, Washington. The events formed part of the Joint Promotional Campaign spearheaded by the Riviera Nayarit and Puerto Vallarta since 2013 with the support of the Mexico Tourism Board (MTB). A total of 77 retail travel agents from the aforementioned cities plus 35 travel consultants from Costco Travel received training to boost their knowledge about the destination, as well as additional tools to help them sell it. Participating hotels in the events included Iberostar Playa Mita, Grand Velas Riviera Nayarit, Paradise Village and Occidental Nuevo Vallarta. Wholesalers present included All About Tours, Delta Vacations and Pleasant Holidays. The response from agents in Portland has always been very positive. Mexico—and by extension the Riviera Nayarit—is very well received in this city, which is why a visit at least once a year is so important. After the seminars, the team visited the offices of Costco Travel. 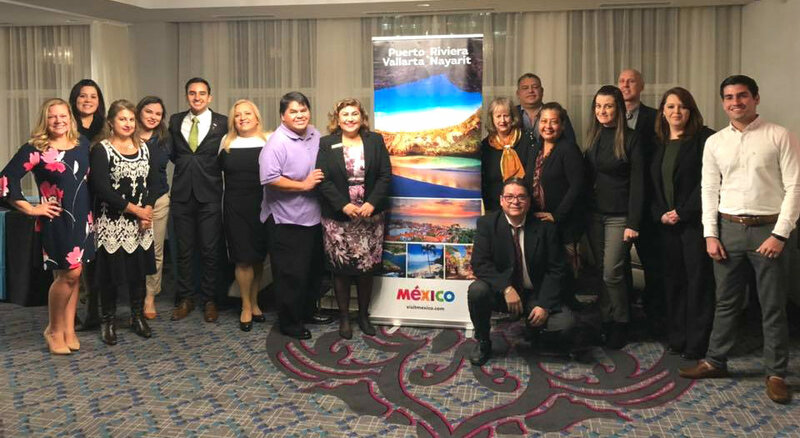 There they trained 35 sales agents who offer information on vacation packages including the Riviera Nayarit to this important wholesaler’s member network across the United States and Canada. The goal was to share sales tools as well as tips on how to best sell the destination. The topics also touched on safety, including the fact that Nayarit is Mexico’s fourth federal entity with the lowest crime rates. There are direct flights from Seattle to the PVR-Riviera Nayarit area during the current high season via Alaska Airlines and Delta Airlines. The Riviera Nayarit Convention and Visitors Bureau (CVB) and the Bahía de Banderas Hotel and Motel Association (AHMBB) work intensely on promoting the destination with the support of the Government of the State of Nayarit via the Tourism Promotion Trust (Fiprotur).